According to US Secretary of State Mike Pompeo, the US will exert relentless pressure on Iran unless the Islamic Republic gives up its 'revolutionary course'. The official gave an ultimatum to Tehran saying that Iran must act like a normal country or see its economy crumble. Sputnik discussed Pompeo's statement with Andreas Schweitzer, Managing Director of Arjan Capital — an advisory firm for businesses looking to enter the Iranian market. Sputnik: Mike Pompeo says that Iran could face mounting pressure unless Tehran changes its revolutionary course. What do you make of the ultimatum? Andreas Schweitzer: When we look at Central Asia, including Iran, and obviously we have an economic war between the US and Iran. Mr. Trump wanted to get the signature of Mr. Obama [erased] from this [Iran nuclear deal] contract, and he fears this [JCPOA] is a bad deal; he uses the weapons he has, the economic sanctions, to do so. I don't know what other ultimatum one needs. The situation is, of course, a miserable one for the Iranian economy and especially for the Iranian people. Sputnik: What is the US end game with Iran? Andreas Schweitzer: As it has always been published, there's a big list which obviously is not a bit possible to comply with; and Iran should withdraw from Yemen and Lebanon. There's a very long wishlist the Americans have; they claim that Iran is the world's biggest sponsor of terrorism. That's what the Americans are trying to achieve with the action. Sputnik: Who in your view would suffer the most from economic restrictions imposed on Iran? Andreas Schweitzer: Obviously, the people. The poorer you are, the more you suffer. This is really devastating for a large part of the population in Iran. Sanctions always hit those who can't afford them; these are people with little economic means. Iran or somewhere else, this is the dark side of sanctions, that they only hit the governments they're trying to reach in an indirect way. Much later when the people have suffered, maybe the American speculation is that there will be a strong will by the people expressed that they don't want this type of life and whatever is going to happen. Sputnik: What about countries that are doing business with Iran? Will they distance themselves from Tehran? Andreas Schweitzer: We have two groups here. We have Europe, which is a bit on and off, lukewarm as one can say, there are countries that will still push, those who have no exposure, countries like India and China. They said they will continue, they've got a waver; there's a certain will. China definitely will [continue], maybe in a reduced way, India is also doing business, as well as some German companies. But the big prominent names that you can read in the paper have withdrawn. The multinationals that have a huge US business cannot afford to do business in Iran, which gives great opportunities to those who don't have US connections. Sputnik: Why, in your opinion, did Washington grant temporary wavers to eight countries to allow them to import oil from Iran? Andreas Schweitzer: They thought that they are going to deal with it anyway, so maybe it's better policy to accept it, than to start another fight with them. 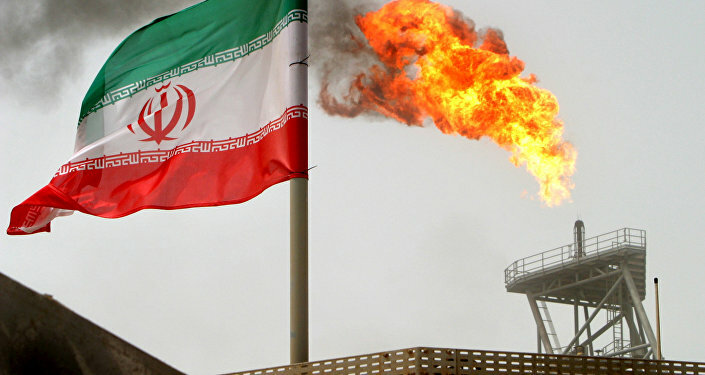 China would not have not imported; they need China, which buys one third of Iranian oil. They cannot simply stop, even if they would want to. The same thing is for India; in the past refineries were made to refine a certain type of oil and if your refinery can only refine Iranian oil and you don't have Iranian oil, your refinery stands still. This doesn't work. These are very practical reasons that the Americans have now accepted as well. Andreas Schweitzer: I would say this would be a very last resort, if even that. One of the achievements from the American point of view is that the economy has suffered, and the currency has lost about 70% of its value. To illustrate that, in 2009, for one euro you got 10 thousand reals, last year you got 50 thousand reals, and now you get 150 thousand reals; so all your imports are three to four times more expensive than last year, which kills the business. READ MORE: Pompeo Grants Exception to Some US Sanctions Against Iran — State Dept. It kills the business for the Iranians, but it also kills the business for the foreigners. This is a game that everybody is now in, the Americans and the Iranians; and we'll see who lasts longer. In a way, it's as simple as that. Sputnik: How likely is that that a new deal with Iran will be signed in the near future? Andreas Schweitzer: We all wish that peace will come to the Middle East region because it is another destabilizing factor in an area which doesn't need more destabilization. Hopefully, within a year, the parties find a way to talk to each other. But at the moment, the Iranians say "we'll talk to America if America changes the outlook on the JCPOA"; and America says "we are only talking once you have complied with what we require." So, it's pretty much a standoff. But sometimes even little miracles happen and someone feels it's the right time to talk; but I would say that crystal ball is pretty opaque.